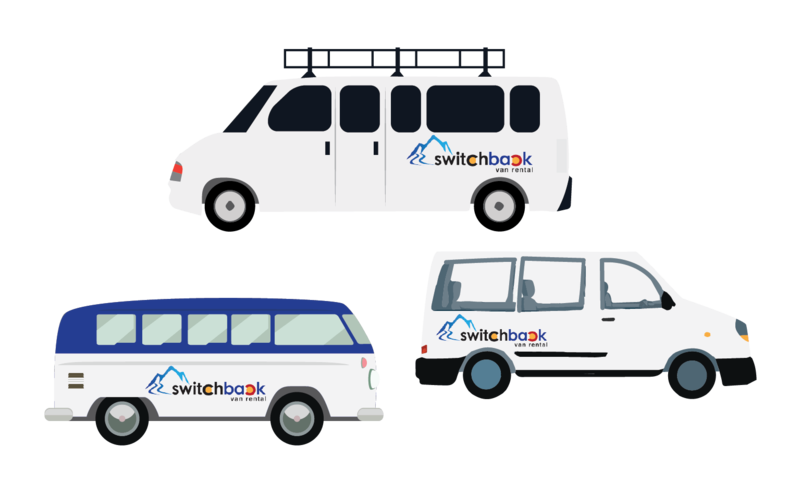 Switchback Van Rental rents used vans at discounted prices. 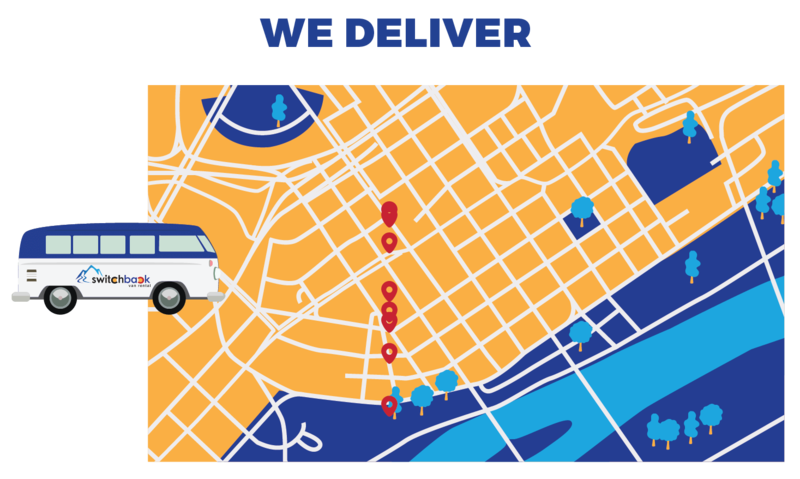 We can deliver your van right to your exact location or the airport. 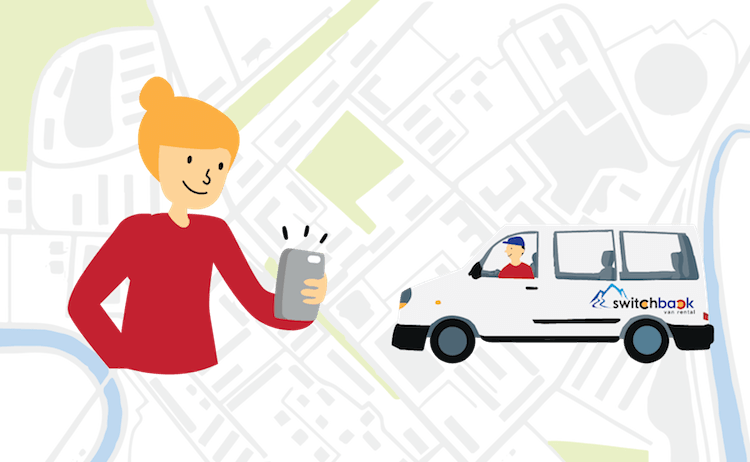 You can also pickup from one our facilities as well. Rent your vehicle online or by phone. Sign and pay for your vehicle electronically before pickup. Your van will be delivered to your selected address. 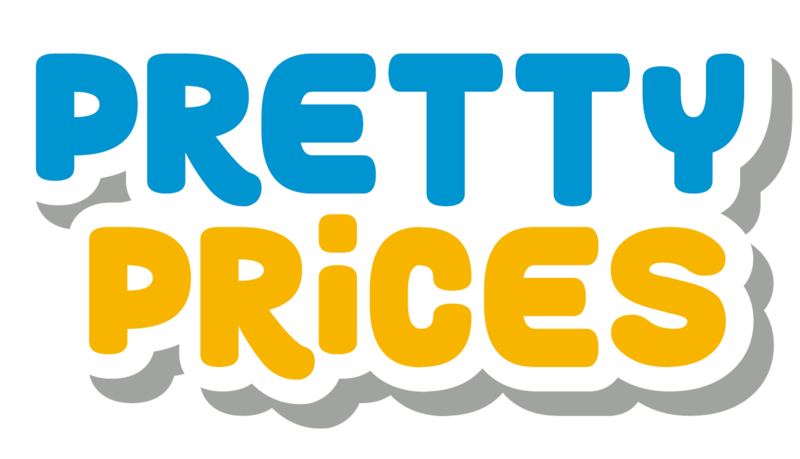 Since we do everything we can to keep our expenses low, we are able to offer bare bottom pricing. 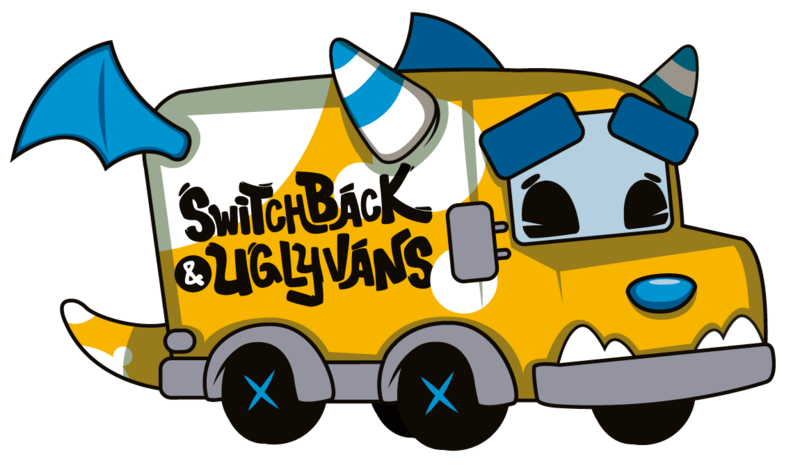 Switchback has some of the lowest pricing available for van rentals. At Switchback we charge per night (just like hotels) not per hour or per day. You can add early check out or late check in (if available) to your reservation if you need different times. 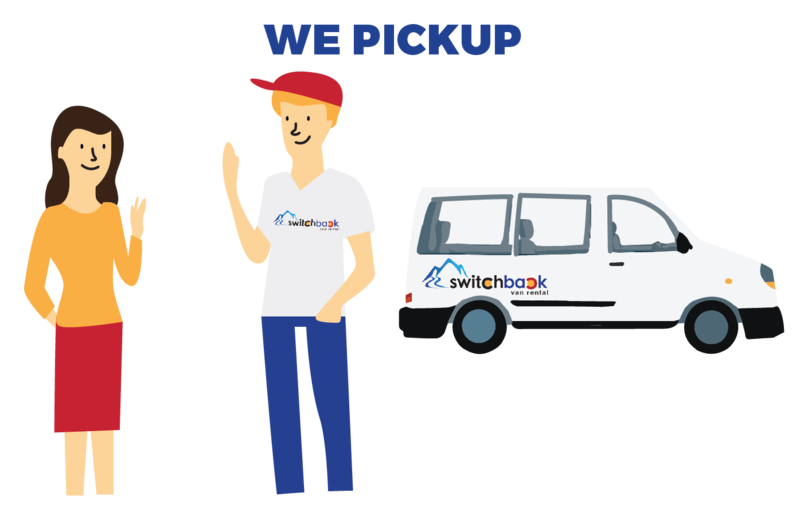 With Switchback you don’t even have to be present when your vehicle is delivered or picked up. Our vehicles have lockboxes in case we are unable to meet you directly in person. This makes picking up at off hours a breeze (off hours and holiday rentals may have different rates)! Here at Switchback we rent all types of vans! Each van is unique with its own name and own unique features from different seating arrangements, to tow ready, to large luggage racks. You can select which van you would like based on your needs. Our vans are used so each one will be different however they all receive the same maintenance schedule so differences in price are based on the features and look of a vehicle, not on it’s mechanical performance. Rent vans for your next adventure from Switchback! Our vans are meant to be used. Excursions, camping, moving, skiing, whatever you want to do, Switchback makes it easier. Wear and tear is normal, so you can worry about having fun and not about the van. Our vans are sturdy, fun, and reliable! They provide an awesome way to see the mountains for your group. Our vans come mountain ready! We provide many features such as custom racks, snow tires, and custom seating arrangements that other providers do not offer. We rent custom passenger vans and unique vehicles built for the mountains. Our vans are meant to be used. Wear and tear is normal. Need a one way rental to Breckenridge? Vail? 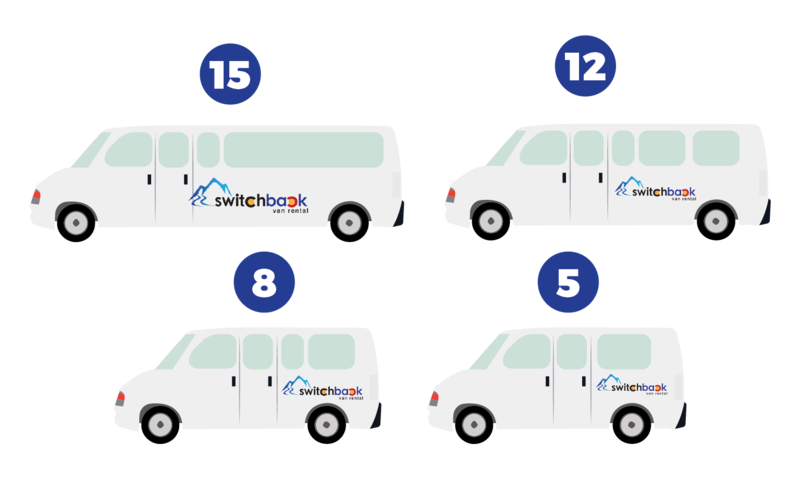 Switchback offers one way rentals to various cities within Colorado and is currently expanding to include cities outside of Colorado as well! Our rent a vans can be used for anything you can think of from touring the Rockies, ski trips, golf trips, events, concerts, moving, and so much more. Pickup is super easy from our lot on on Colorado Boulevard. You simply show up, open the van with a code, and go.